Gone are the days when hunting vegan and vegetarian places was strenuous job. Many new and authentic meat free restaurants have come forth in Toronto in recent years. They all are offering great option of vegetarian and healthy foods. Here is the list of the best vegan vegetarian restaurants in Toronto to fulfill your hunger pangs with delicious foods. Visit these restaurants to please your taste buds with some amazing vegetarian dishes. It is an award-winning vegetarian restaurant. Vegetarian Haven provides abundant food options which are gluten free and made with organic ingredients. Along with foods, it provides variety of organic juices. The restaurant opens at 12 PM and closes at 10 PM. If you are looking for the best Indian restaurant in Toronto then 309 Dhaba is a place to visit. 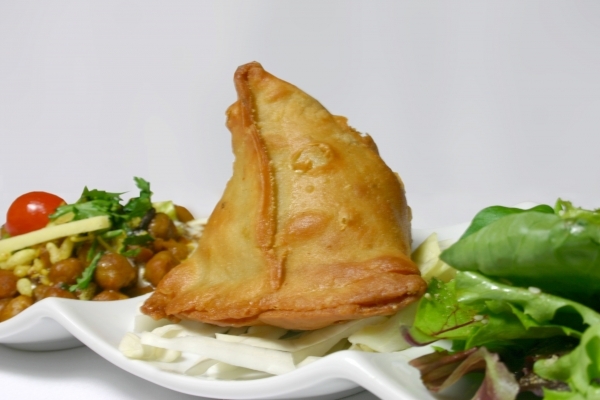 It offers plethora of Indian vegetarian gluten free dishes. It was established in the year 1998 by the chef PK Ahluwalia. This restaurant has been a winner of Most Memorable Meal award. Moreover, 309 Dhaba is endowed with the certificate of excellence by Trip advisor. It opens at 11 AM and closes till 2 AM. Founded in 1974, it is one of the oldest vegetarian restaurants. It mainly offers south Indian cuisine on its menu and also some tofu dishes. However the most special item of its menu is Toronto’s special masala chai. It opens at 11:30 AM and closes at 9 PM and remains closed on Sunday. This vegetarian restaurant is operating since 1999. It is a complete vegan restaurant and does not include any animal by-product as a ingredient in the food. They provide immunity shots which helps to boost your immune system and even protects from cold. Fresh restaurant opens at 11:30 AM and closes at 10 PM. It is a gluten free vegan restaurant serving healthy foods. This restaurant promotes reuse and recycle by offering 35% discount to those who bring their own container. They offer recyclable materials for all their items, thus contributing to save the environment. It opens at 10 AM and closes till 8PM from Monday to Friday. Whereas, for Saturday, the timings are 9 am to 9 pm and for Sunday it is 9 am to 4 pm. Kit Kat offers gluten free healthy and tasty vegetarian food to its customers. The main cuisine is Italian. There are many lunch and dinner options for you. The specialty of this restaurant is its extensive list of wine. IT opens at 11:30 AM and closes at 10 PM. Next Best shore excursions in Roatan!